DK Gameroom Outlet Blog - Because Leisure is a way of Life! Because Leisure is a way of Life! If you have been following along, we have already worked on getting a proper billiards stance, proper pool cue grip, and creating a good hand bridge. 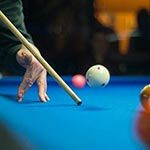 In this article, we will focus on developing a consistent, repeatable, smooth billiards stroke. 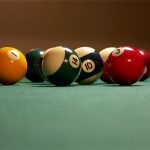 In our previous Billiards 101 article, Pool Stance Basics: Billiards 101, we discussed the importance of building a stable foundation for your pool cue stroke. 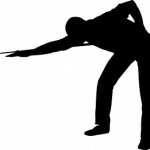 The next step is to establish a solid pool cue grip to ensure you can stroke the cue straight through the shot. McDermott Cues has been a leading manufacturer of high quality pool cues for many years. A few years back, they introduced their new, affordable Lucky pool cue line. These cues provide a great value for the average play. They come in a variety of classic designs in a quality construction for under $100. Needless to say, these cues have become extremely popular with players around the world. As you probably already know, billiards is a sport that tests your skill as well as testing your mental fortitude. There is no replacement for solid, consistent practice and training. This is, however, a sport where equipment choices can make a difference. 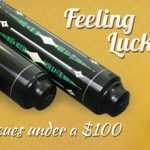 Choosing the right pool cue tip is one of the most important choices you can make to help improve your game.